Every adult -- especially seniors -- should have at least four essential legal documents to protect them and their family. These documents will make sure your wishes regarding your estate are legal and clear, and will help minimize any conflicts and confusion with your family and your health care providers if you become seriously illness or when you die. Here are the key documents you need, along with some tips to help you create them. A Will: This document lets you spell out your wishes of how you'd like your property and assets distributed after you die, whether it's to family, friends or a charity. It also allows you to designate an executor to ensure your wishes are carried out, and allows you to name guardians if you have minor or dependent children. In addition to a will, if you own real estate or have considerable assets, another option you may want to consider is a "revocable living trust." 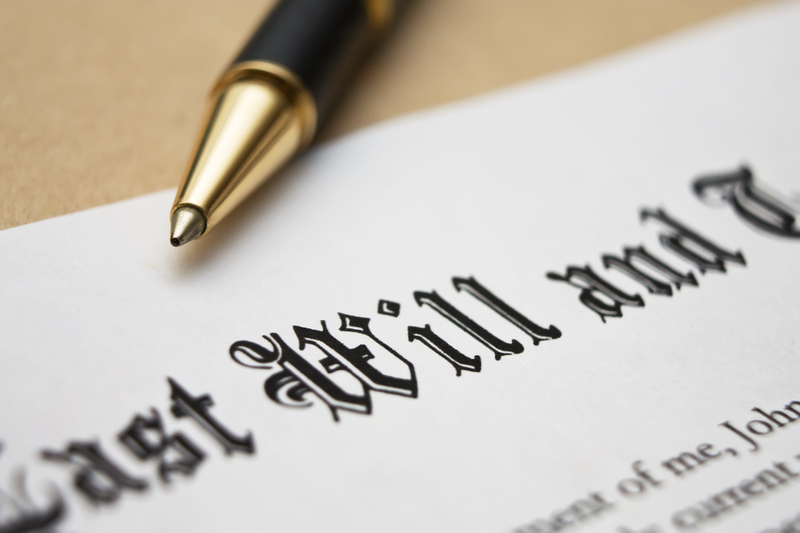 This functions like a will but allows your estate to avoid the time and expense of probate (the public legal process that examines your estate after you die) and helps ensure your estate's privacy. Durable Power of Attorney: This allows you to designate someone you trust to make financial, tax and legal decisions on your behalf if you lose your decision-making capacity. Advanced Health Care Directive: This includes two documents that spell out your wishes regarding your end-of-life medical treatment. The two documents are a "living will" which tells your doctor what kind of care you want to receive if you become incapacitated, and a "health care power of attorney" which names a person you authorize to make medical decisions on your behalf if you become unable to. For creating a will, a top resource is the Quicken WillMaker Plus 2015 software (available at Nolo) that costs $50, works with Windows personal computers and is valid in every state except Louisiana. If you use a Mac, Nolo offers an online will maker for $35. If, however, you want or need assistance or if you have a complicated financial situation, blended family or have considerable assets, you should hire an attorney. An experienced lawyer can make sure you cover all your bases -- especially when writing a will or living trust -- which can help avoid family confusion and squabbles after you're gone. If money is tight, check with your state's bar association to find low-cost legal help in your area. Or call the Eldercare Locater at 800-677-1116 for a referral.